India is trying to push a national goods and services tax (GST) through parliament that would replace a myriad of state sales taxes and shake-up government revenue. The Indian subsidiary of Coca-Cola Co said on Friday it may have to close some bottling plants if the government pushes through a proposal that would subject fizzy drinks to a 40 percent "sin" tax, as part of a broader fiscal overhaul. The beverage maker, which operates 57 factories and bottling plants across India, said a proposal to group sugary sodas with higher-taxed luxury cars and tobacco would hurt demand for its drinks. 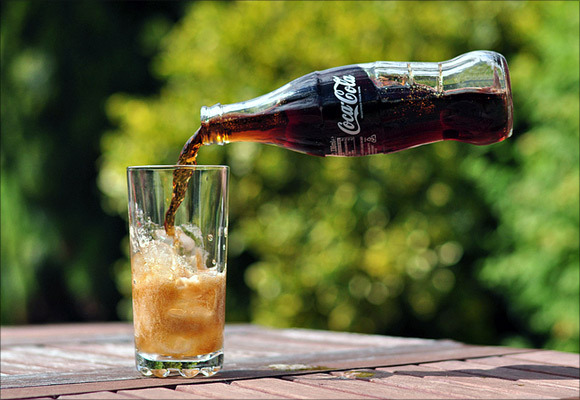 "It will lead to a sharp decline in consumer purchase," Coca-Cola India said in a statement. "In these circumstances, we will have no option but to consider shutting down certain factories." India's ruling party is trying to push a national goods and services tax (GST) through parliament that would replace a myriad of state sales taxes and shake-up government revenue. A government-appointed panel examining GST has suggested a standard rate of 17 percent to 18 percent, and a higher tax of 40 percent on some goods including the carbonated drinks Coca-Cola sells. Several countries are debating so-called "sugar taxes" to tackle obesity and encourage healthier lifestyles. While more than a fifth of India's population lives below the official poverty line, the country is home to the third-highest population of obese people after the United States and China, according to medical journal The Lancet. The chairman of Coca-Cola rival PepsiCo Inc in India said in a statement that while he supported GST, the 40 percent rate was "high". "Having said that, we are confident that the government will take a balanced view of taxation with respect to our industry," Shiv Shivakumar said. Coca-Cola India, which employs 25,000 staff, said it is on course to invest $5 billion by 2020 as it looks to raise production to target a growing middle class. The company re-entered India after economic liberalisation in the early 1990s.